120 film RF Folders 120/220 Format Folding Rangefinders, including the various classic Zeiss Ikontas, Voigtlander Bessas, and their Ruskie copies. 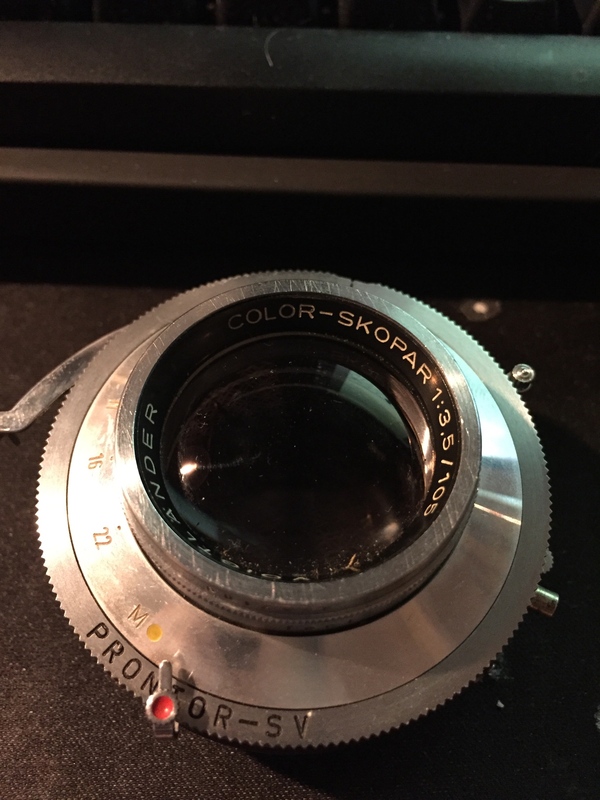 Hey all, So I came across a lens for VERY cheap because it was dropped (I'm guessing), There is scratches at the bottom of the lens. after looking at photos with this lens, I'm shocked and really would love to shoot with it. Do I have to use this lens on a bessa? Is there a cheaper alternative? The shutter and aperture seem to be functioning great. I put the camera up to a couple of cameras. and it doesn't look like the scratches are effecting whats being seen. 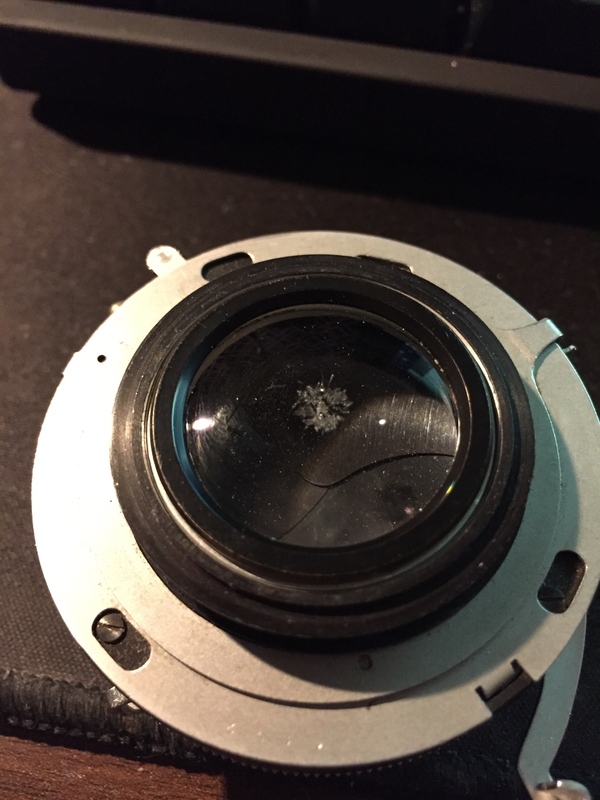 is there any creative way to fix this lens? I have done camera repair and am thinking maybe i can replace the bottom glass somehow in the future. I'm about to passout and just wanted to speak about this lens, thanks for reading. The damage could not be worse. You would have to replace the rear element, and to that you would have to have another like lens. I'd just forget it, and look for another. I'd hang onto this one in case you need to repair or replace the shutter on the replacement. (Ex., I have this lens with a bad aperture blade, which I have neglected to repair.) If I ever get to the repair, the lens will add to the compliment of lenses used on my Galvin 6x9cm view camera.